NMK Electronics Ent. (NMK) distributor of Sabian Cymbals in the U.A.E. 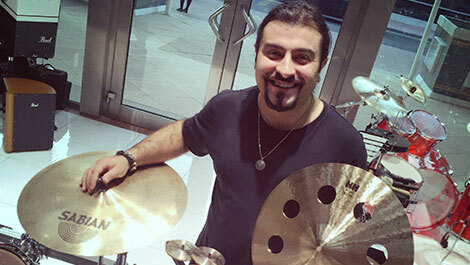 in cooperation with Sabian the world’s top cymbal designer and manufacturer and Melody House Musical Instruments, musical instruments store in Dubai, is pleased to announce the endorsement of Aram Kalousdian, drummer of Dubai based metal band Ascendant. “I am proud of being acknowledged as a drummer in my genre by Sabian. I have been obsessed with the Sabian cymbals since I was a teenager. Past 20 years I played Sabian cymbals on stage in numerous countries and have several experience with recording the albums as well. Moreover thanks to my job in the musical instruments industry I understand and know the cymbals inside out,” commented Aram. “As endorsed artist it will be my honour to support Sabian through various drum clinics and events organised in this region,” he added.